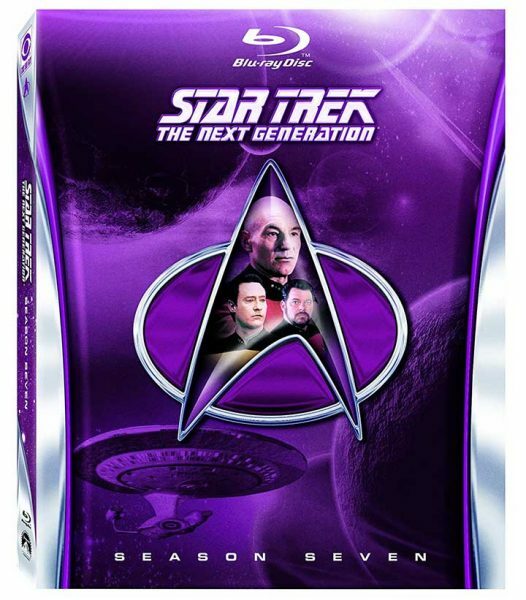 Amazon must have some overstock, because Star Trek: The Next Generation – Season 7 on Blu-ray disc is only $24.53. That’s discount of almost $35 off the list price of $59.99! The 6-disc collection from Paramount Home Media has a total run time of 1172 minutes, with improved 1080p video and digitally remastered DTS-HD Master Audio 7.1 sound. Extras include several featurettes, audio commentary, Archival Mission Logs, gag reel (HD), deleted scenes, and more. Buy Now. Missing some seasons or just starting out? Amazon has also got Season 1 for $24.85, Season 2 for $27.96, and Season 3 for $30.59. Jump over to Amazon to check out more Star Trek: TNG deals.